Father and Daughter relationship is always a very special one. Mahendra Singh Dhoni and her daughter shares the same special relationship and it’s all over the internet. 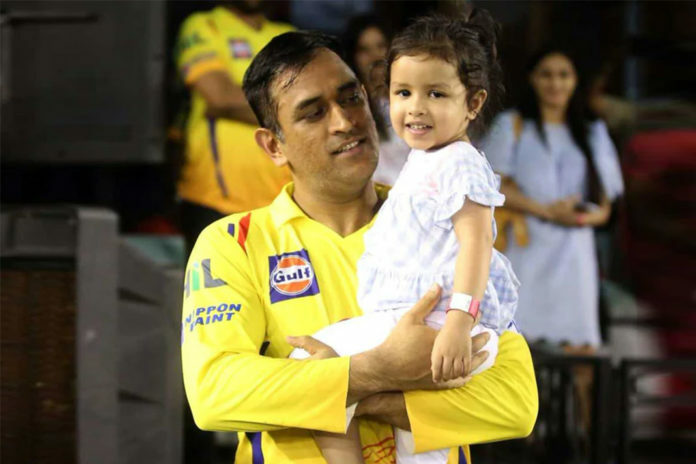 Ziva has undoubtedly become the internet sensation because of her cute gestures towards her dad MS Dhoni. Ziva wanted to hug her papa (MS Dhoni) when he was on the ground for batting. Ziva seems to be quite intelligent at this age as she can greet in different languages as well. There’s no one in this world, who can teach Mahi, how to dance best way than his daughter Ziva. Well, she is a quick learner..!! Ziva has also made it real to have a Bugs bunny in one’s life. When she dances and cheers for Chennai Super Kings and her papa in the IPL 2019. All in all, Dhoni is active on Instagram these days and which is good news for the fans to follow and take a sneak-peak in the life of their idol.